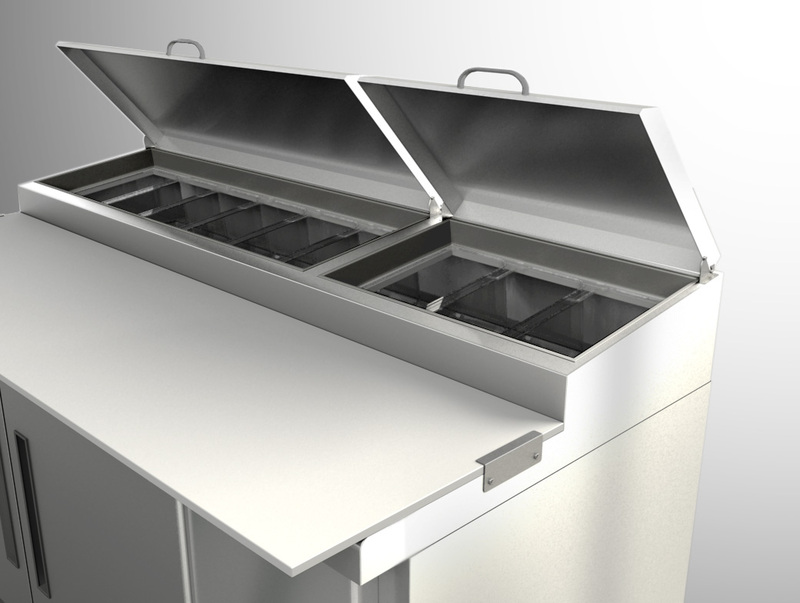 A cooler manufactured in three sizes for pizzas preparation and assembly. It has chilled spots for ingredients. The equipment was developed for the US market and meets NSF and UL standards.